Great capture and textures! I like the worn look on the window. I love the reds in the window frame and the flowers. What a lovely combination of colors - very nice. I love windows like this, I especially love the weathered paint and reflections in the window. Beautiful window. . . I love the bricks and the flowers. Great old window. Very nice composition and textures. 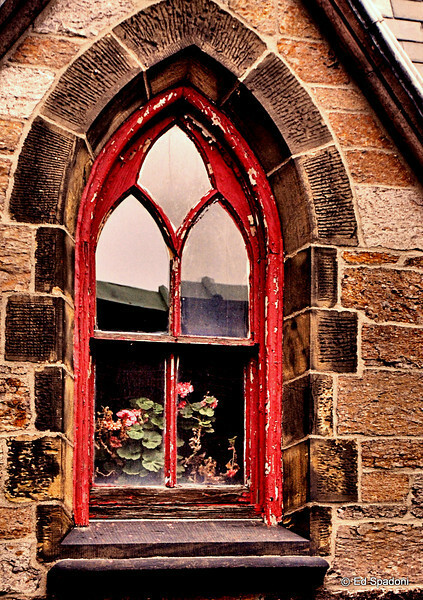 What a great window/find, The red peeling paint, the flowers, the reflection, and the super cool texture in the stonework come together for some super comp.